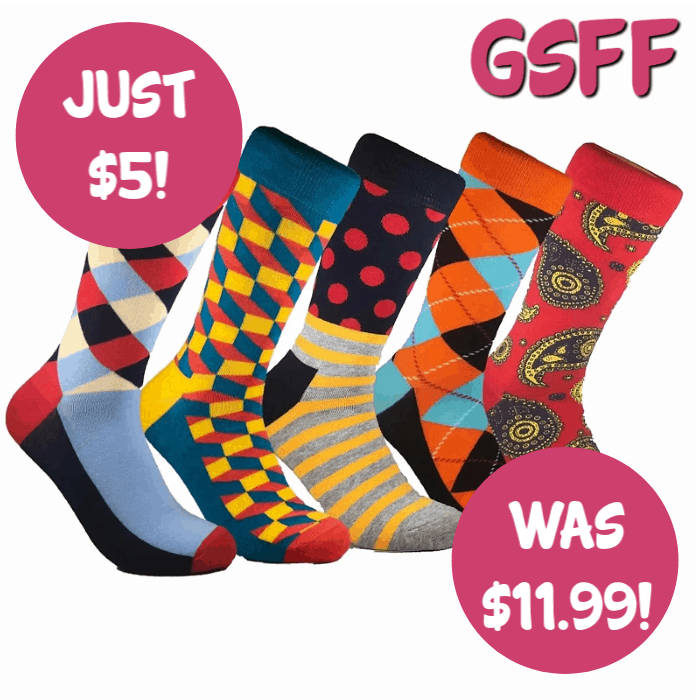 Fun Socks For Men Just $5! Down From $12! You are here: Home / Great Deals / Fun Socks For Men Just $5! Down From $12! Head over to Jane and grab this Fun Socks For Him for just $4.99, down from $11.99! These fun dress socks are a great addition to any sock drawer! Fathers, husbands, significant others, and friends will love receiving them as gifts or stocking stuffers. Whether you wear them or give them as a gift to the fashionable man in your life, everyone will appreciate the long lasting quality and style these socks bring. The gift every man needs! There are 25 socks to choose from. Made with 80% combed cotton, 15% nylon, and 5% spandex.